Marlene Reus age 73 of Zeeland passed away Sunday, February 10, 2019. Marlene was born and raised in Holland. She graduated from Holland High School in 1964. She worked for 29 years at Hope College in the Physical Plant. Following her retirement, she was known to bake cookies for her church, shut ins, family, and friends. 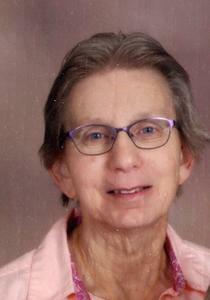 Marlene was a member of Calvary Reformed Church and was involved in the Children’s Ministry. Marlene was preceded in death by her parents, Lyle and Genevieve (Moes) Snyder. Surviving is her husband, Bill; children, Nancy and Bill Pifer, Brian Reus, Tim Reus, and Dan Reus; 3 granddaughters, Emily Pifer, Becca Pifer, and Katie Reus; siblings, Dennis Snyder, Janice and Ron Immormino, and Dave and Bev Snyder; in-laws, nephews, nieces, and cousins. Funeral services will be 11 am Thursday (February 14), at Calvary Reformed Church, 995 East 8th Street, with Rev. Blaine Newhouse officiating. Entombment will be at Restlawn memorial Gardens. Visitation will be 6-8 pm Wednesday (February 13) at the Dykstra Funeral Home-Mulder Chapel, 188 West 32nd Street. Memorial contributions may be made to Hospice of Holland or Calvary Reformed Church Youth Ministry.